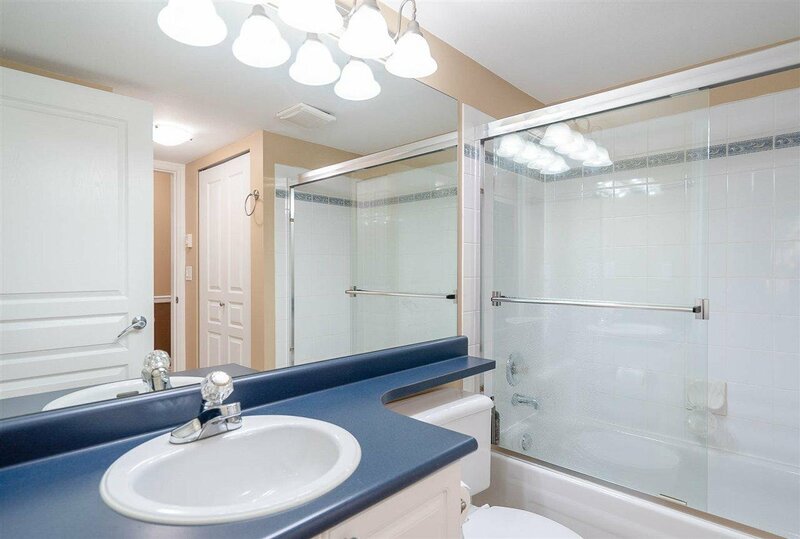 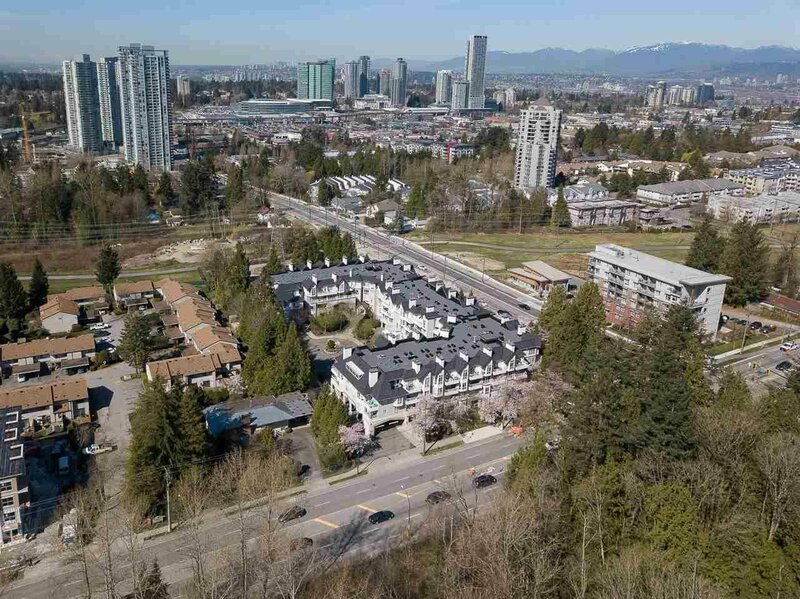 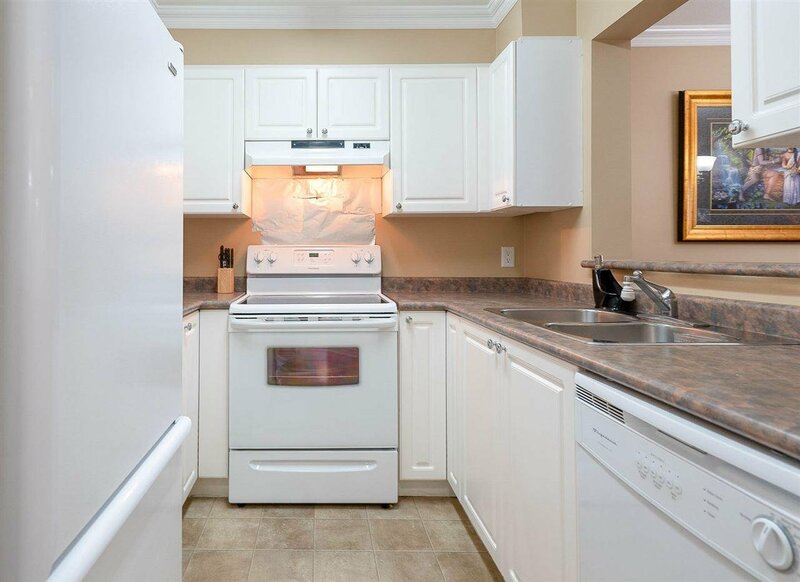 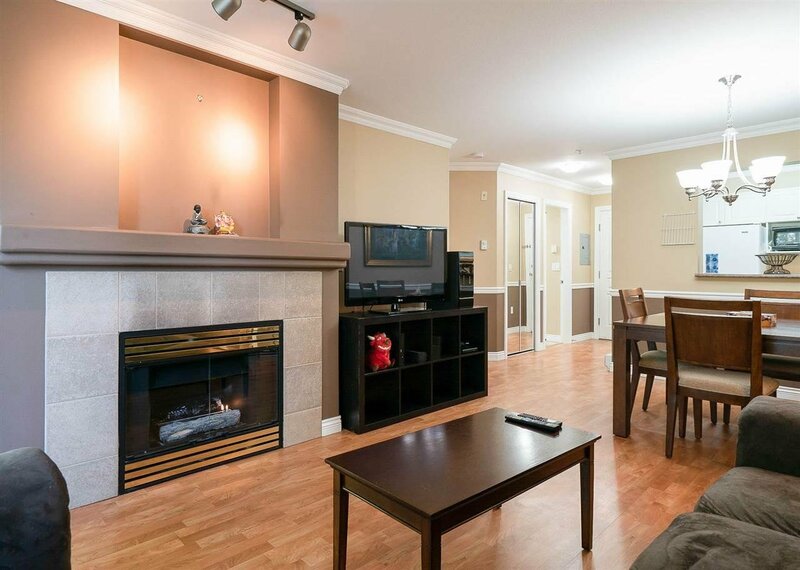 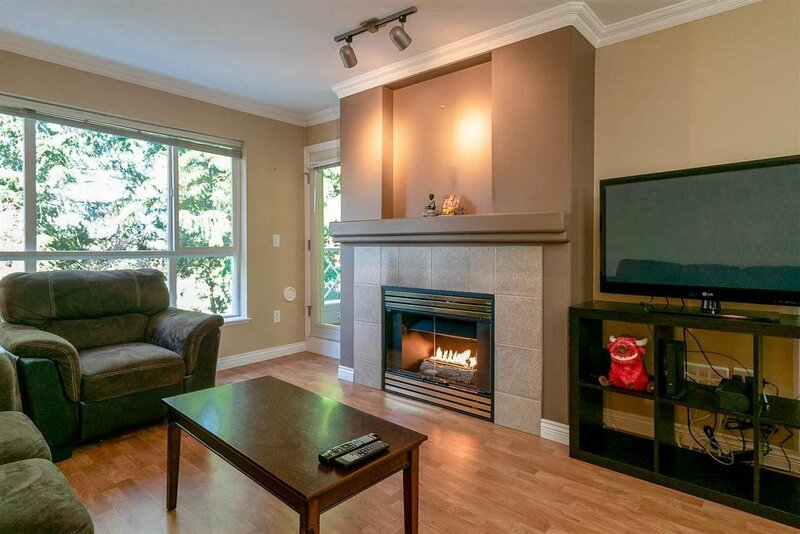 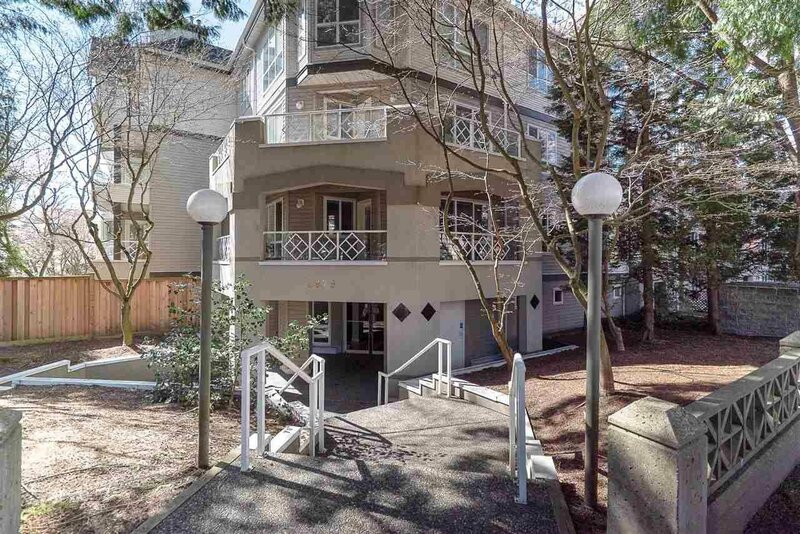 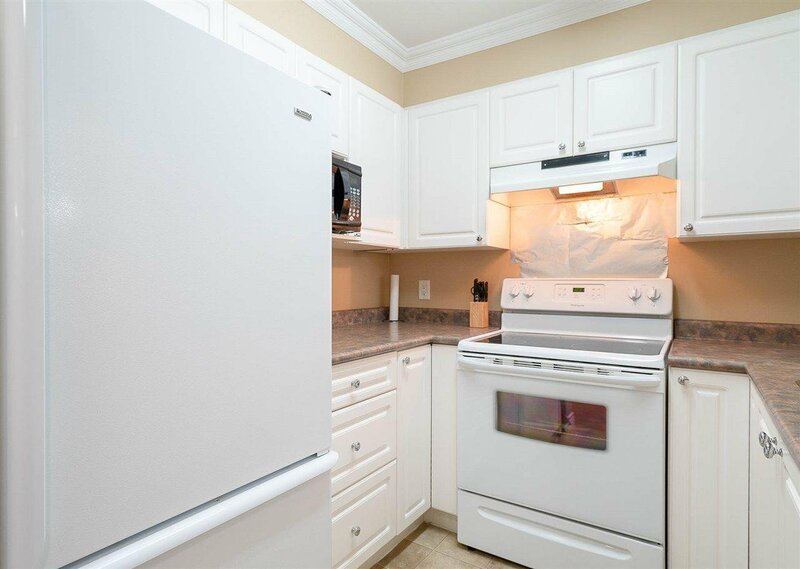 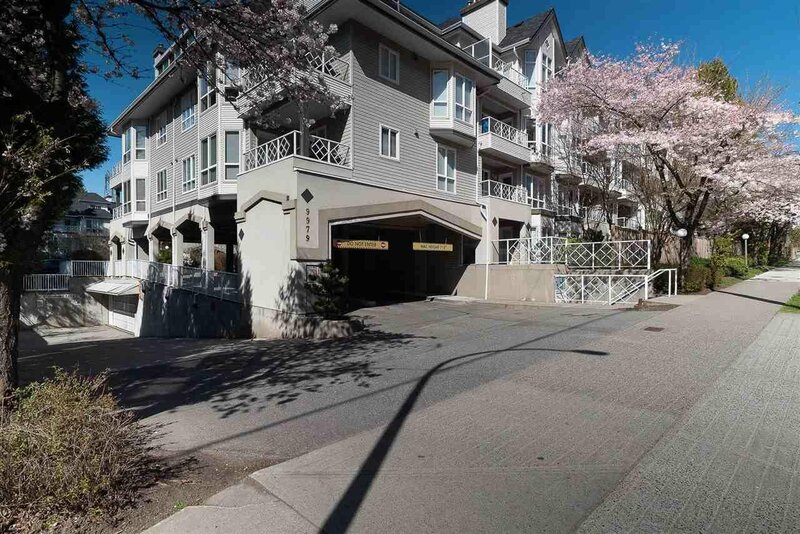 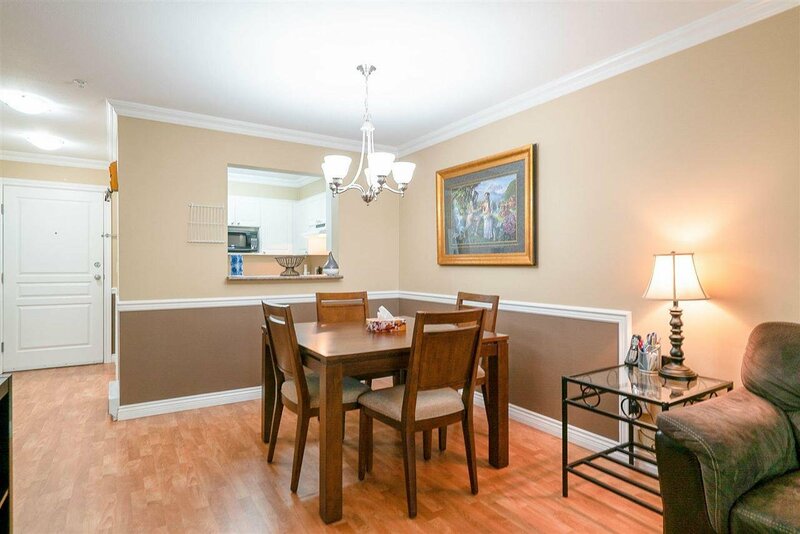 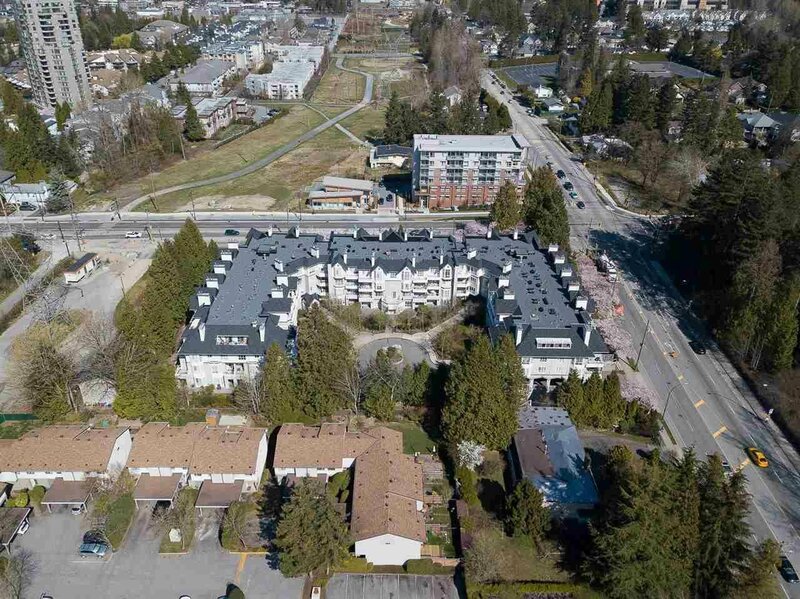 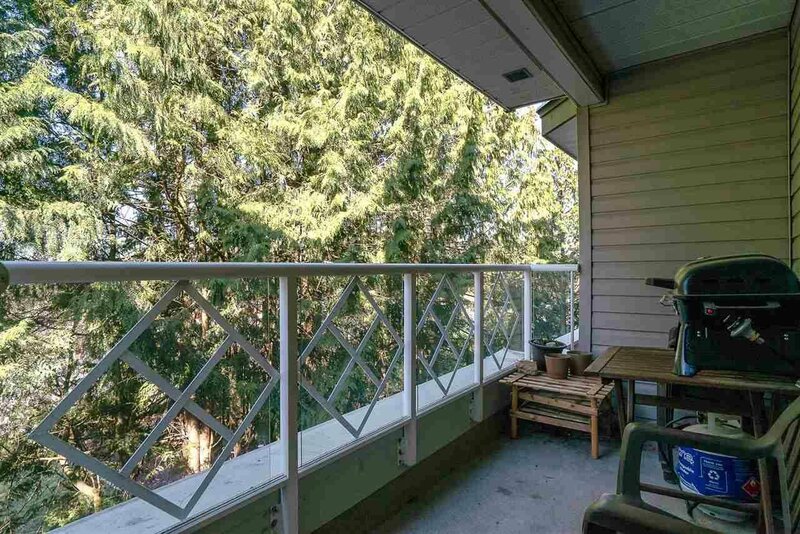 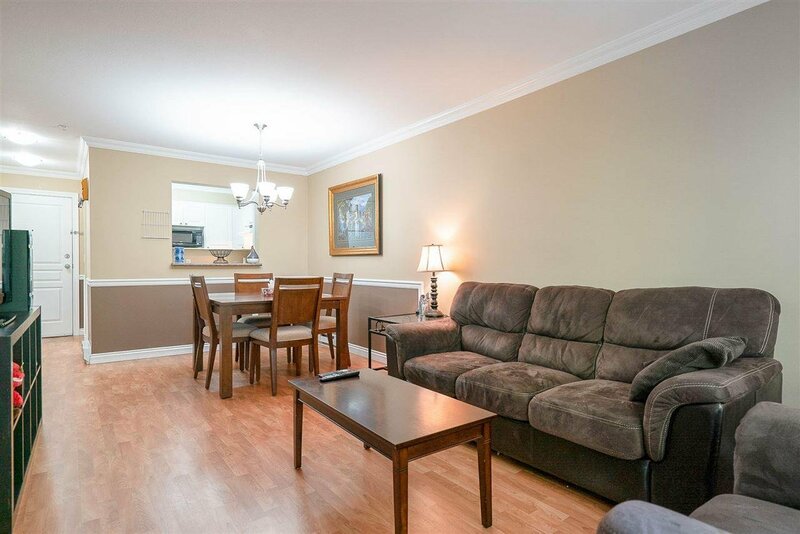 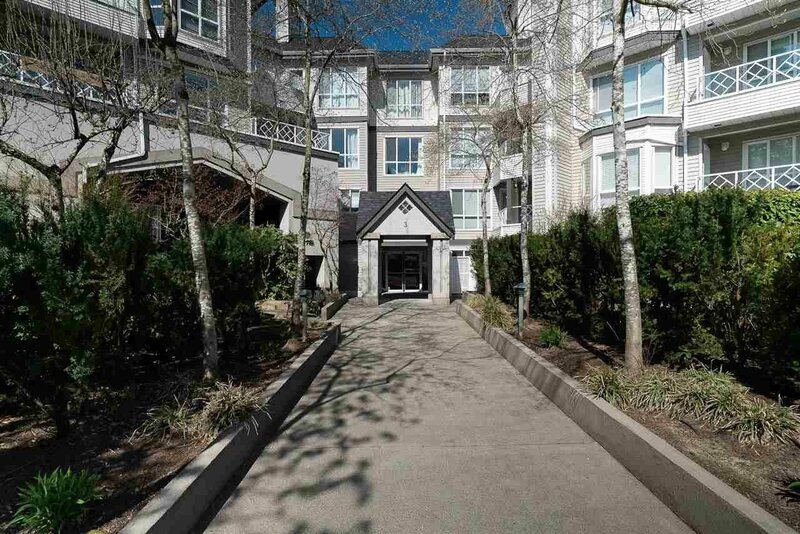 Fabulously located 1BR 1BTH North Surrey condo. 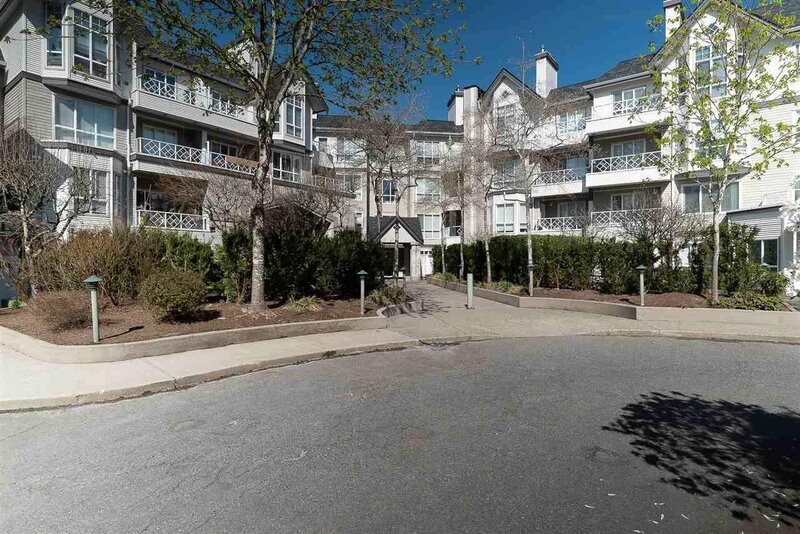 A beautiful courtyard and landscaped greenspace welcome you to this tranquil complex. 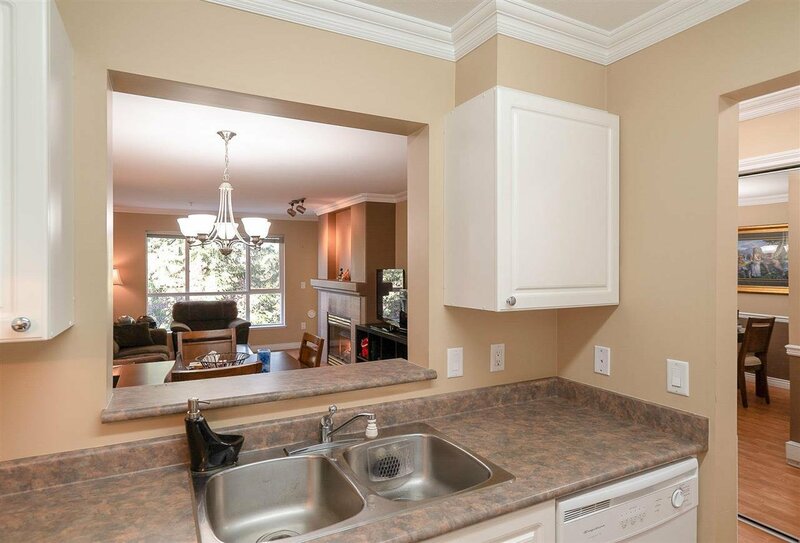 Warm neutral colours and laminate flooring flow throughout your inviting and functional space. 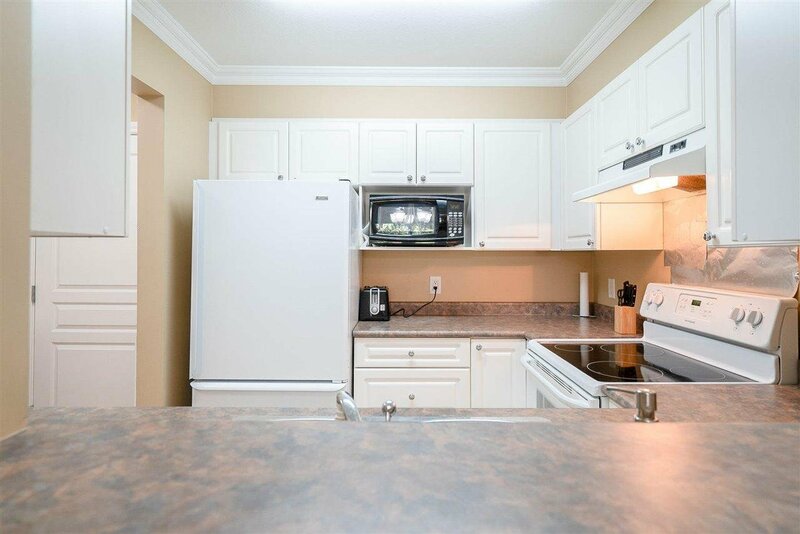 Your bright kitchen features ample storage and prep space and is further illuminated by a handy pass through window. 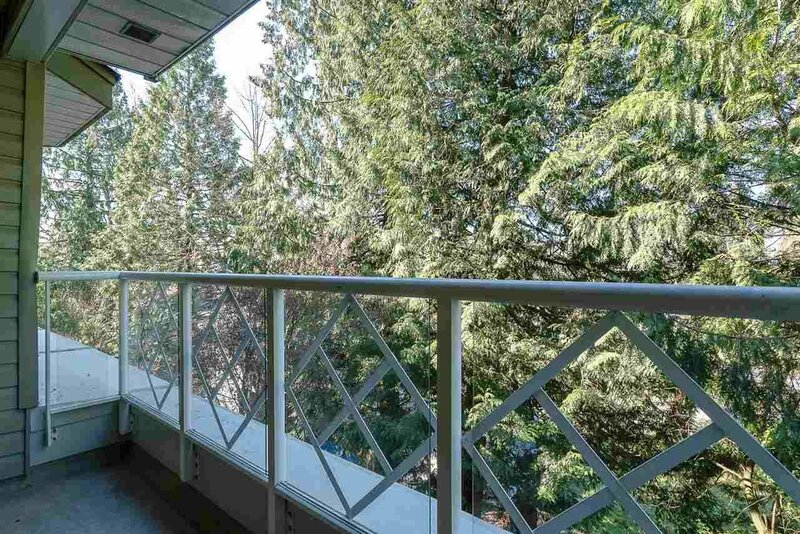 Relax before the cozy fireplace or enjoy a relaxing brunch on your balcony surrounded by towering trees. 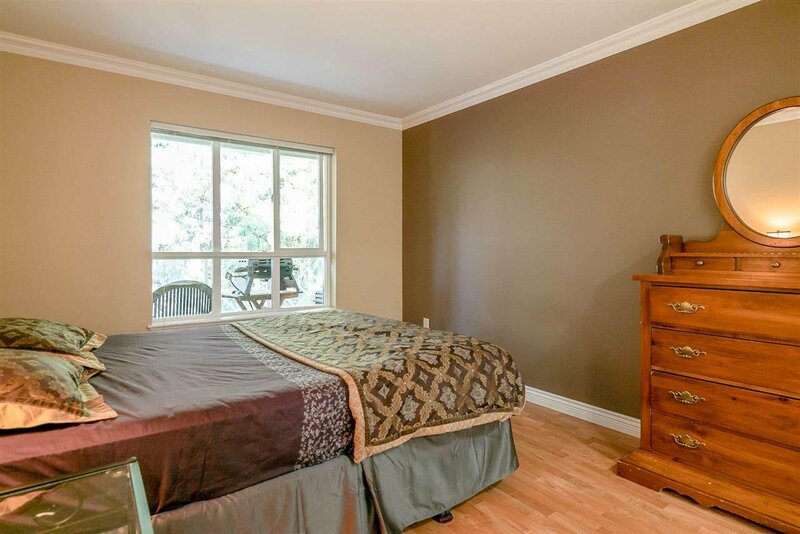 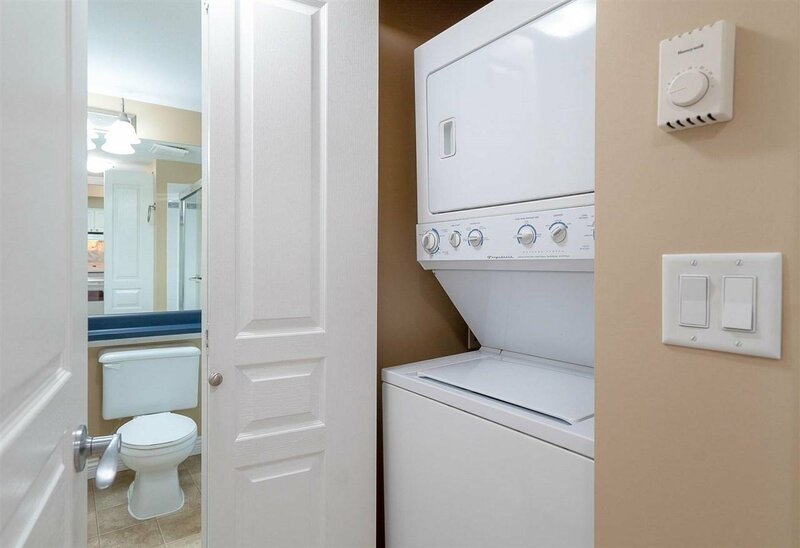 Sizable master bedroom offers his and hers walk through closet to a cheater ensuite with insuite laundry. 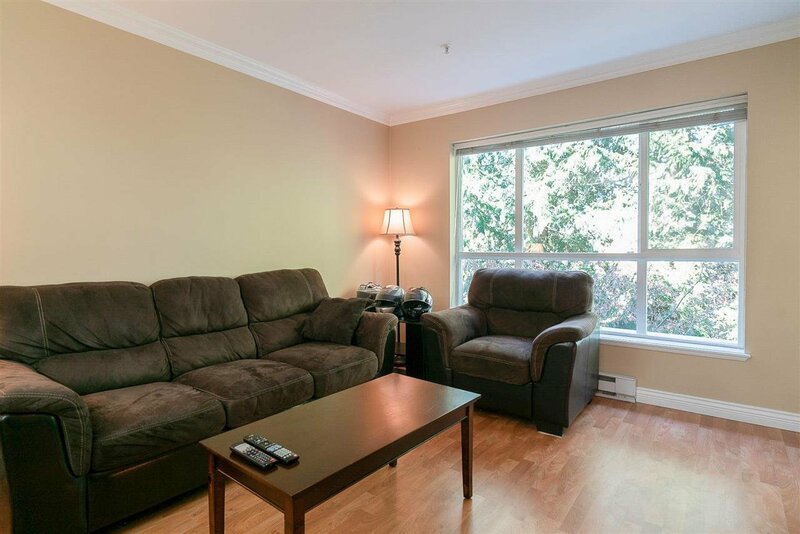 Ideal for students, commuters and investors, Sherwood Green is steps to King George Skytrain Station, SFU Surrey Campus, KPU Civic Plaza, Central City Shopping, Surrey Memorial Hospital and every imaginable urban convenience.